Have you just about had it with the appearance of dimpled cellulite on your body? Reshape yourself with VelaShape™ – the premiere and safe non-surgical cellulite treatment solution that has been cleared by the FDA! VelaShape™ treatments are virtually painless and enable you to comfortably get the toned and contoured body that you desire – in as little as 4 sessions! With VelaShape™ you will look and feel younger and more shapely. Contrary to popular belief, cellulite is not caused by excess weight. Heavy or thin, anyone can have cellulite. It’s in your genes, which explains why it can appear on the bodies of women who are not overweight in the least bit. 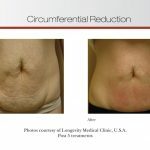 These fat cells push up against surrounding fibrous connective tissue and appear on our inherent thinning skin, making the clumped fat seem even more obvious! 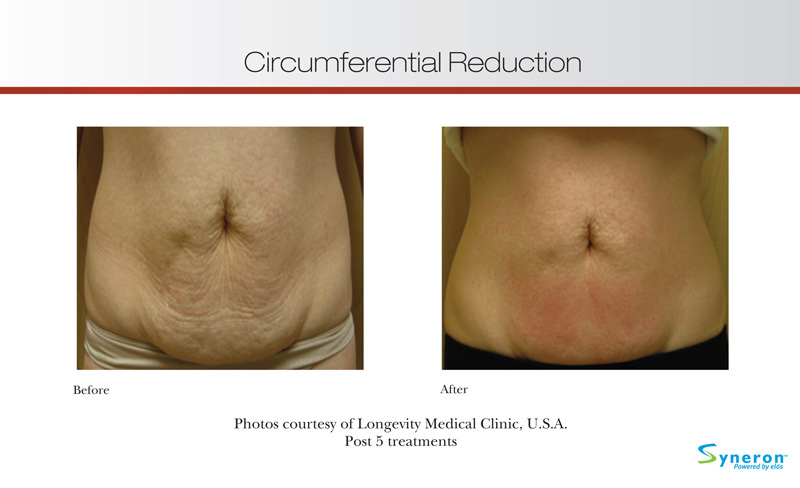 VelaShape™ therapy re-contours these cellulite layers and will smooth them out to reduce or even eliminate the unsightly “cottage cheese” appearance. VelaShape™ uses a combined radio frequency method that precisely targets and penetrates both the deeper tissues and the upper layers of your skin, resulting in visible skin tightening. It also uses infrared light energy plus vacuum and mechanical massage to help break away your fats under0the0skin layers of elastin fibers, and increases vascular and lymphatic drainage to these layers of fat where your cellulite has formed. Because of the use and level of comfortable heat that’s applied, your skin contracts, creates more circulation in the area and reduces the size of the fat cells in these layers. 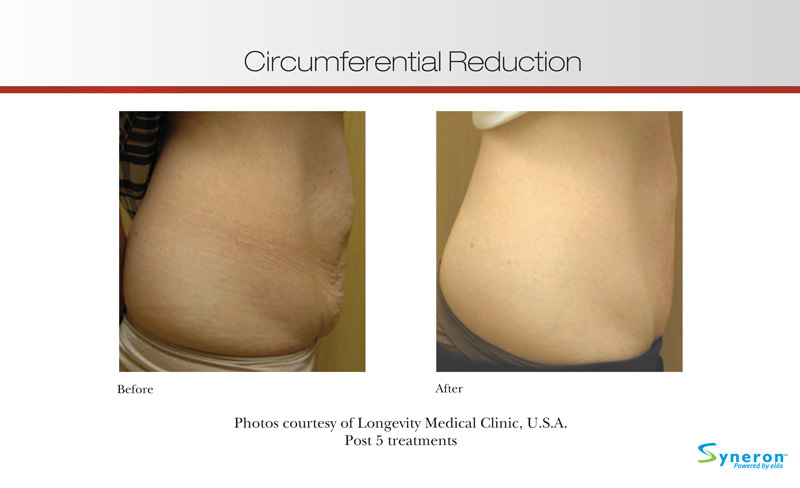 The result you’ll experience is the reduction in total circumference of the area(s) treated, destruction of fat cells and skin tightening! VelaShape™ uses combined energies known as elōs™ to precisely target and heat fatty tissues within the treatment area. 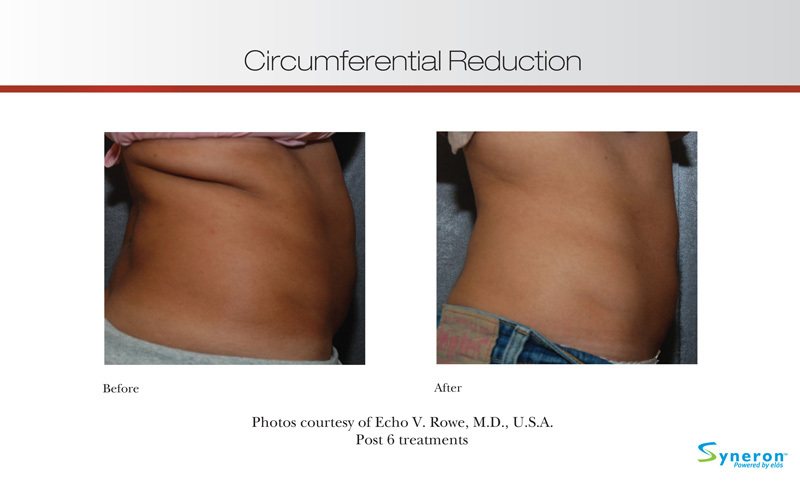 In addition, the vacuum and tissue manipulation evens out the skin to reveal a smoother figure. 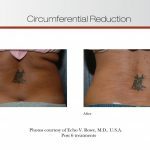 On what body areas can I be treated for Circumference Reduction? With VelaShape™, you can be treated on body areas such as the thighs and buttocks. The two applicators (VSmooth & VContour) on the VelaShape™ device are designed for large and small body areas; therefore, treatment is safe and effective. Gradual improvement of the treated area can be seen following the first treatment – with the skin surface of the treated area feeling smoother. 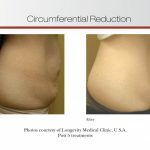 Results in Circumference and Cellulite Reduction will be most apparent 6-8 weeks following the final treatment session. How do I improve and maintain the VelaShape™ results? Following your complete treatment regimen, it is recommended to get maintenance treatments periodically. Like all non-surgical or surgical techniques, results will last longer if you follow a balanced diet and exercise regularly. FDA cleared the device as safe and effective for all skin types and colors. Short term effects can include mild bruising or redness. Does this treatment suit me? The majority of the population is suitable for receiving the VelaShape™ treatment. You should consult with your physician prior to receiving treatments. For treatment contra-indications, please refer to your local Syneron representative. Most patients find VelaShape™ treatments comfortable – like a warm deep tissue massage. The treatment is designed to accommodate your sensitivity and comfort level. It is normal to experience a warm sensation for a few hours post treatment. Your skin may also appear redder than usual for several hours. What are the VelaShape™ advantages compared to other methods? Our advantage is our technology. Today, there are no other methods available that include a combination of Bi-Polar RF, Infrared Light, Vacuum and Mechanical Massage like VelaShape™, and no other method can guarantee the clinically proven results, efficacy and safety in 4 treatments as the VelaShape™. 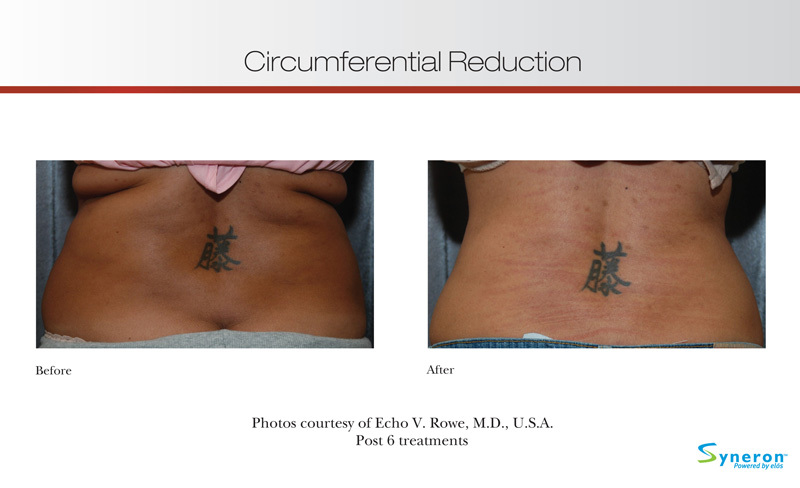 VelaShape™ is the only non-surgical medical device cleared by the FDA for circumferential reduction.